As Parliament met to amend the Offshore Banking (Amendment Bill) 2019, Fiscal Incentives Amendment Act and the Automatic Exchange of Financial Account Information (Common Reporting Standard) Act we felt obligated to tell the story of former priest now offshore bank magician attorney Lennox Lawrence and how he performs Eucharistic miracles in the offshore Banking sector in Dominica. The sleazy works of Lennox Lawrence was again at center stage in a recent Eastern Caribbean court decision (September 2018 Claim No.DOMHCV2018/0009). In this court matter the Claimant Kinscorp Limited (“Kinscorp”) brought an action by way of a Claim against the defendant Remy Lawrence for the recovery of $39,547.00. Remy Lawrence who was represented by his brother, attorney Lennox Lawrence was also at the material time, “the director of Kinscorp” and was liable to it’s account. Stick a pin in here – We are about to see that Lennox Lawrence the magician.. In the claim against Remy Lawrence a sworn affidavit was presented by Mr. Jhonny Gregorio Griman (Griman) also a director of Kisncorp. Through Lennox Lawrence’s magical web of deception we now know that Griman is also the director of an offshore bank in Dominica, named Ibank. Griman in his affidavit claimed that Remy Lawrence was in breach of fiduciary duty and trust, when he withdrew $39,547.00 from the company’s account. We also took some time to find out about Griman. We suspect that Jhonny Gregorio Griman is also the same Jhonny Gregorio Griman (Gonzalez) who is Venezuelan by nationality. 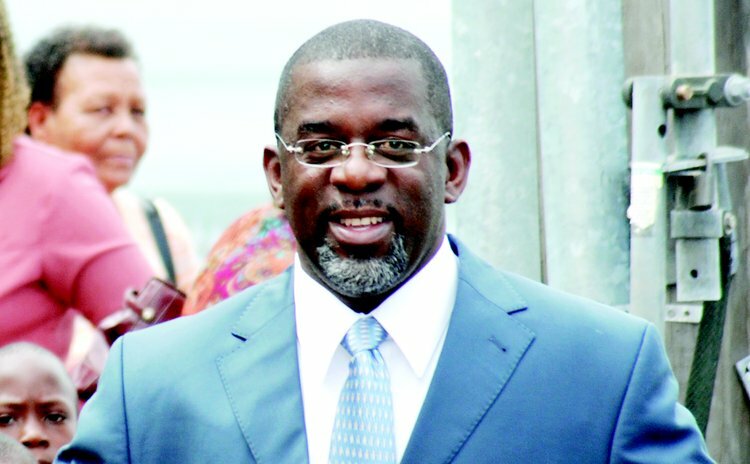 We also found out that Griman got a divorce in 2013, the same year that Ibank was domiciled in Dominica. (See Dominica’s financial Service Unit (FSU) web site). For the records it was not Lennox Lawrence who leaked Griman’s Divorce information to MiTC. Lennox Lawrence acting as defense attorney filed what is referred to as an Ancillary Claim on behalf of his brother and client Remy Lawrence. In the ancillary submission Lennox Lawrence took the decision to named the same Ibank Corporation (“Ibank”) and Kinscorp Limited as the ancillary defendants. In what appears to be a reverse claim Lennox Lawrence declared the following. (4)Ibank is entitled to monies paid by Remy Lawrence on behalf of both Kinscorp and Ibank. Who is that lawyer retained by Ibank? To whom does IBank owe the financial obligations? We are about to see the chameleon,Lennox Lawrence playing multiple roles in what could be great Hollywood script. !!! In response to the ancillary claim by Remy Lawrence, the counsel for the applicant, Heather Felix Evans submitted that Remy Lawrence is really a “proxy claim” on behalf of Lennox Lawrence. Essentially Remy Lawrence through his attorney Lennox Lawrence was trying to justify his action by presenting to the court that the $39,547.00 that was taken out of Kinscorp’s account was really money retained by Kinscorp lawyer and that lawyer is Lennox Lawrence himself. Was it really Remy Lawrence who withdrew that money? You decide !!! In light of the skulduggery , double dealing and furious ethical violation by Lennox Lawrence , Heather Felix Evans also recommended that it is improper for him to represent Remy Lawrence in the suit. Even the very incontinent Adventist, Cleville Mills would agree that this kind of behavior is just as bad as a senior police officer "sweeping" $40,000 out in a garbage bin. The court went on to say that Remy has no right being in a rift with Griman and his Kinscorp, as Remy Lawrence has not indicated that there is any money owed to him personally. It is reasonable to conclude that the “certain action” as referenced by the court is presumably the withdrawal of $39,547.00 from Kinscorp bank account. According to the court, the entire matter was all a Lennox Lawrence set up with his brother Remy Lawrence either voluntarily or involuntarily playing the part of the mule. The judge opined that “ It is clear from the case at bar that whatever actions Remy Lawrence took regarding the funds belonging to Kinscorp can constitute a defense to the claim made out against him. However it is inconceivable as to how he can seek to bring an ancillary claim against the applicants for a debt which he claims is owed by them to Counsel Mr. Lennox Lawrence." We have seen in other unrelated matters evidences and examples of Lennox Lawrence’s crafty deception and the webs of deception that he creates. One can only wonder what if Lennox Lawrence had not been a catholic priest before becoming this sleazy attorney. It was the same attorney Lennox Lawrence who once declared on Kairi FM radio that the Roosevelt Skerrit regime should hunt down the opposition members like the Obama administration hunt and destroy members of al-Qaida. Lennox Lawrence also once said that Dominica is better off receiving aid (begging) than getting involved in trade. In in addition to selling passports Lennox Lawrence is heavily involved in the questionable ship registry operation by the government of Dominica. 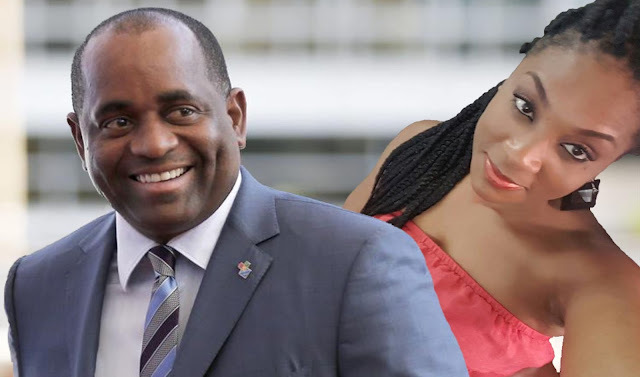 The conduct by Lennox Lawrence in the said court matter does not only amplify the need for more scrutiny of the offshore banking sector, there is also the problem whereby goons and cronies of the DLP administration have been blatantly operating all kinds of nefarious schemes knowing that the Roosevelt Skerrit administration itself does not have the moral authority to rein in corruption and lawlessness particularly among their cronies.